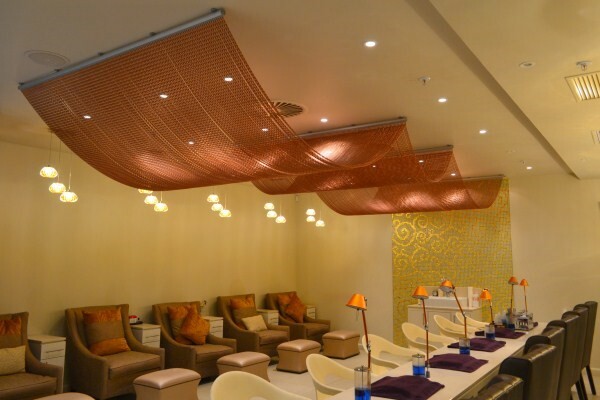 Lavana Beauty Spa, located in Benmore Gardens Shopping Centre (Sandton CBD), has a classic contemporary Italian aesthetic on a neutral canvas with bursts of metallic finishes to create a romantic ambiance. From the reception area your eye is immediately attracted to the nail and pedicure area. 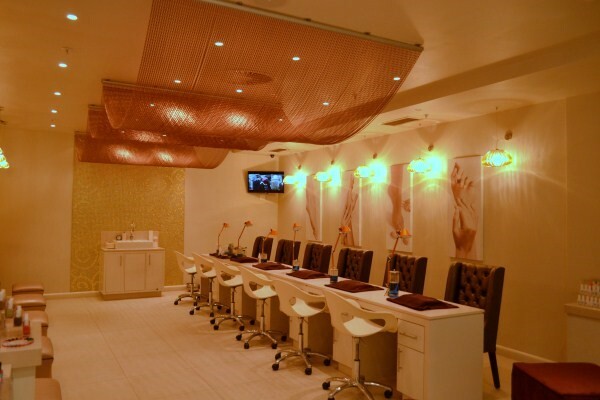 Beautiful high ceilings feature venetian glass pendants over the pedicure stations and a dramatic chain draping ceiling in brilliant brown that spans over the centre of the area. 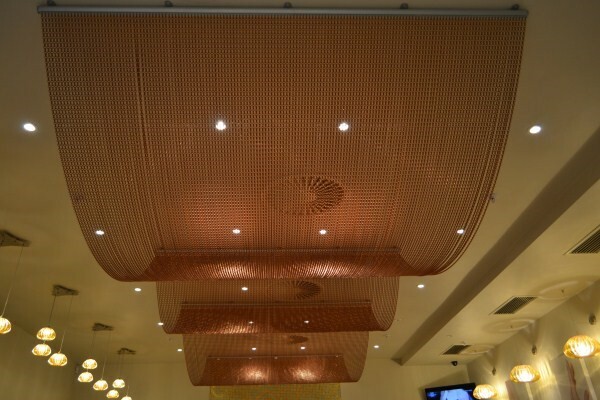 The pendants, along with the light filtering through the chain, create a warm calm glow over the treatment area. The perfect interior design for a relaxing treatment.